Posted in Lessons from the Holy Bible, Living in Today's World, Seeking Truth? God’s love is freely given to all people without condition, however, what is done with His love is conditional! Each person, sometime in their life, is given the opportunity to accept His love personally, as our own, by receiving His forgiveness through the redemptive death and resurrection of Jesus Christ. Should we make the choice to accept His love, then the “if” process begins. The purest definition from Websters Dictionary defines if as a) in the event that b) allowing that c) on the assumption that d) on condition that. Simply it requires a conditional event or a conditional attitude. My son, if you receive my words, and treasure my commands within you, so that you incline your ear to wisdom, and apply your heart to understanding; yes, if you cry out for discernment, and lift up your voice for understanding, If you seek her as silver, and search for her as for hidden treasures; then you will understand the fear of the Lord and find the knowledge of God. For the Lord gives wisdom; from His mouth come knowledge and understanding; He stores up sound wisdom for the upright; He is a shield to those who walk uprightly; He guards the paths of justice, and preserves the way of His saints. Then you will understand righteousness and justice, equity and every good path. What is the result of the “if” process? Understanding the fear (awe) of God and finding Godly wisdom for every “if” we may encounter. 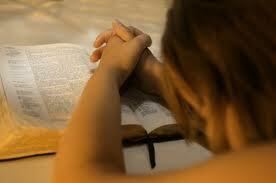 May you be blessed as you grow in the Lord daily through studying His Word and humbly praying for His guidance. The best part about the “If’s” of God is the following “Then”. God’s promises are conditional. He says, “IF you do, THEN I will” . . . and His “then” is certain. His “then” is an absolute guarantee!